Moses Ashikodi has parted company with Whyteleafe after a very brief spell at the club. Ashimodi made four starts with the club but was only able to find the net on one occasion, stabbing home a close range effort from close range against Godalming. 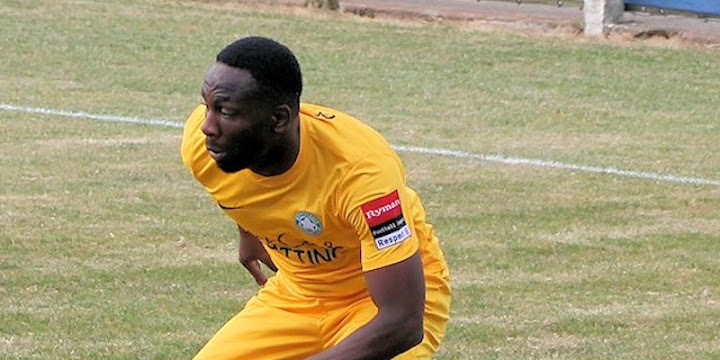 Whyteleafe's fifth match was at Herne Bay and with both Karl Parker and Roscoe DSane available, Ashikodi was left on the bench and eventually made an appearance to replace DSane on 61 minutes. He failed to make an impression and received a yellow for intentional hand ball. This was to be the player's last appearance in a Whyteleafe shirt as, upset at being left on the bench, Ashikodi stated his intention to immediately leave the club. His registration with Whyteleafe was cancelled on Tuesday 30 August 2016. His record with Whyteleafe reads as Played: 4 (+ 1 as sub); goals: 1.